Your profile is now complete and active as a location rental, so what’s next? What happens when you get inquiries? Once you have listed your location on FLW, there are four ways a potential production member will contact you. Telephone: A production scout may telephone you. If you provide a telephone number, and we highly recommend you do to allow potential production and event renters to contact you fast. Direct Email: Location scouts may email you directly; If you want to display your email address publicly, you are able to add that to the end of your property description. 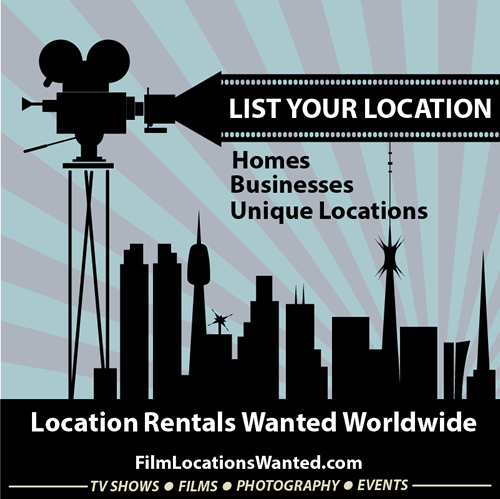 Call the Office: Production company will call us for help specific location needs. We do assist with suggestions, so important to let us know how you are doing and what productions you have hosted so we to know your property offerings. All negotiations for the rental cost and so forth is strictly between the owner and production company. No fees are collected, no arrangements on behalf of production is conducted by EFM. Please keep in mind, your profile is available to worldwide production who are actively seeking locations for various projects. Please answer them timely and professionally, this will insure they consider your location offering and perhaps tell others. You never know when, who, where and what will be needed for a project so as long as you are offering your property as a location on the web site, please keep it updated and respond to correspondence. If you have further questions about offering your home, business or property on the site, please contact us.